This beautiful month of June has been all about enjoying celebrations! Father’s Day was a highlight, and as we’re a family business we were inspired to go on a family photograph treasure hunt for our post dedicated to dads. I also mentioned some gift ideas for fathers in that post. (They’d be great gifts for the favorite men in your life at any time!) Let’s revisit some of our other most popular June posts. The Summer Solstice is probably the biggest celebration we can have of summer – the sun is at the center of that party! On the longest day of the year my mind turned to vintage chandelier lighting. 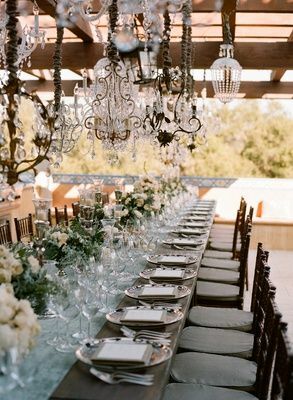 Chandeliers brighten our lives all year, whether your taste is for rustic French Country style or fancy Rococo with more than a hint of bling. My post on chandelier lighting included tips on how to pick the right size chandelier for your room. 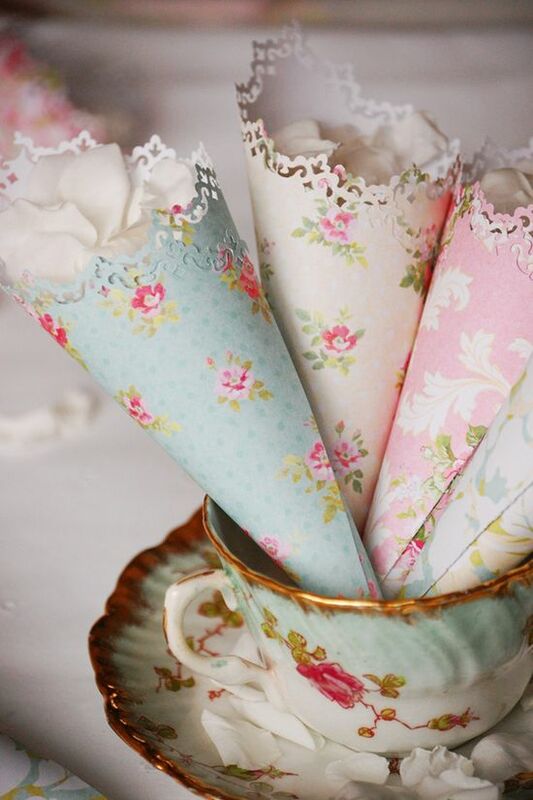 I felt very romantic writing this post about vintage weddings, decor and gifts. Greg and I just enjoyed the celebration of our wedding anniversary, so that probably added to my romantic inspirations! 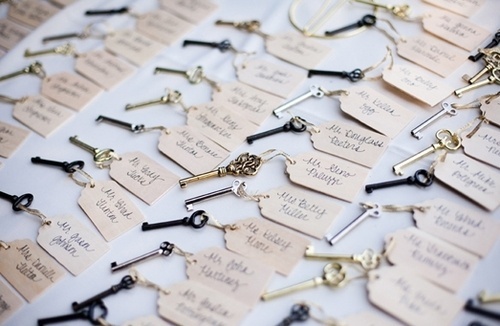 We’re in the midst of wedding season, and every bride wants her wedding day to be unique. 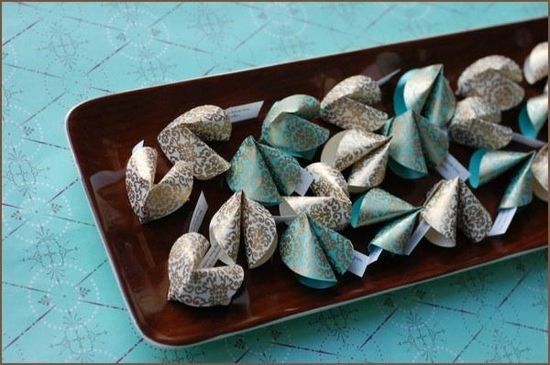 DIY crafted wedding decor is one way to personalize the couple’s special day, although these ideas are not just for wedding belles! They can be adapted for any party or celebration. In our client spotlight on antique Hunting and Brittany style furniture, we shared photos of the wonderful home of Gene and Lyn and the furniture that they’ve brought from us over the years. This post was also a celebration of the fact that we originally met Gene on the very first day that we opened our gallery doors back in 2004. Also, the couple bought a pair of antique Hunting Thrones that we showcased in our debut ad in a local magazine. Gene and Lyn have been an important part of our journey as a gallery, and we so appreciated seeing their home. Another client spotlight from New York City celebrated the good news that after nearly two years of searching in many stores, our client Margaret found just what she was looking for! Margaret found the perfect reproduction barstool from our selection for the doorman to use in the lobby of her residential building. It was a great story to hear and we’re glad the doorman is sitting pretty (and comfortably) now. Finally, my post about Buying Better Quality Furniture was inspired by consumer research saying people want to trade up for better quality, style, and durability. Of course, we’re sorry to hear that consumers regret settling for cheaper mass market furniture. We want everyone to enjoy their decor, even if they are not our customers! 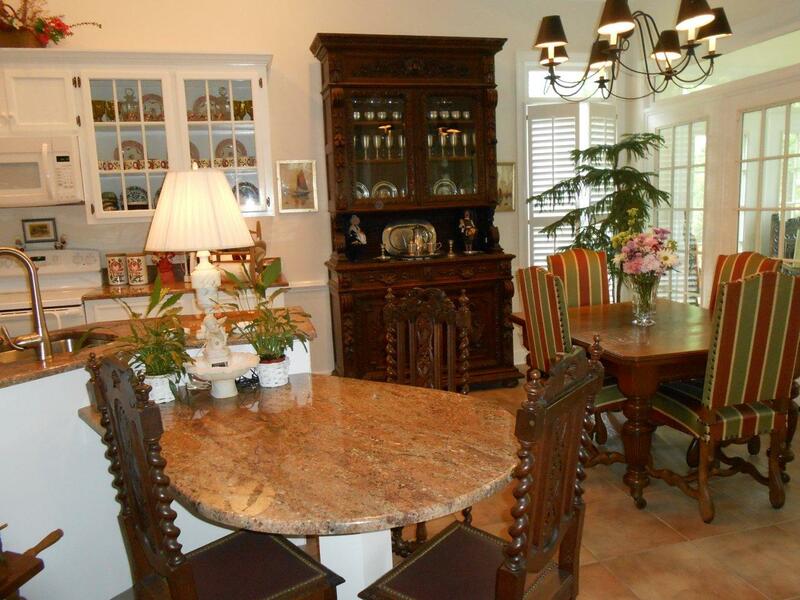 But it is a celebration to see that people want to invest more in choosing finer furniture for their homes. After all, our homes are the center of our lives and a reflection of our values and personalities. Home should be a sanctuary and a joy. I hope your home is a sanctuary as we head into July and that you have plenty of joy and celebration ahead for Independence Day! 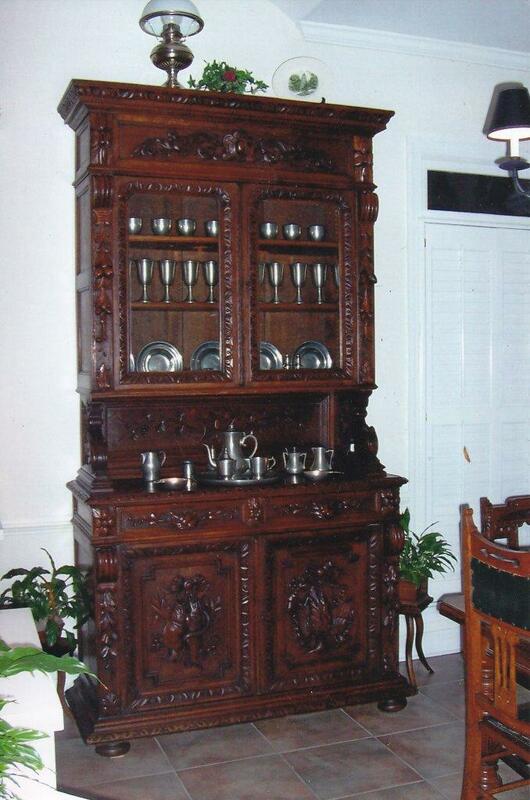 This entry was posted in News and tagged Antique Furniture, home decor, Vintage wedding on June 28, 2013 by admin. I just read an interesting article saying that 40% of consumers would choose to buy better quality furniture next time they make a purchase. Also, 24% wish they’d bought more durable furniture. That’s quite a high percentage of people who regret settling for cheaper options, or who want to trade up. Only part of the article is available at the Furniture Today magazine website, but we enjoyed reading the full print piece to learn why people say they’d now choose better quality furniture. We don’t need consumer research to convince us! Greg and I are very picky about the furniture we choose for our customers. 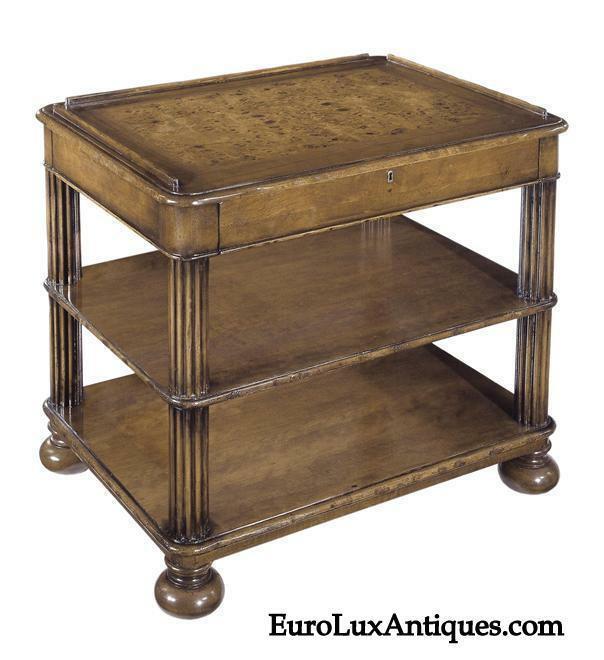 Whether we’re scouting for antiques in Europe or selecting high-quality reproductions, our aim is to ensure you won’t find better quality furniture than you’ll see at at EuroLuxAntiques.com. Shoppers in the research commented on the importance of quality materials like wood for durability. They want to invest more so their furniture lasts and doesn’t need replacing so often. We couldn’t agree more with the shopper who said: “Cheap furniture starts to look cheap after a while.” Sometimes people just find their tastes and values evolve, and they want to buy furniture that truly reflects their personality. When you buy antique furniture, you know it will be unique to you and you know it can stand the test of time. Antiques appreciate in value with age. They grow even more beautiful, with a patina on the wood and an air of being much-loved. 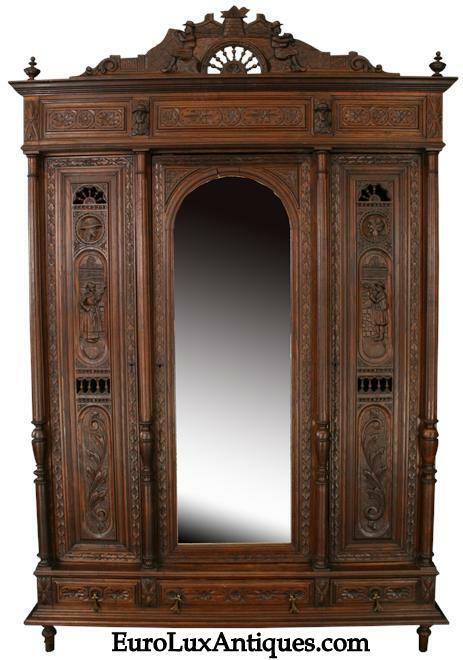 If a piece is so finely constructed that it survives since 1880, like this fabulous antique French Brittany armoire carved in chestnut, it is likely to serve your family very well for years. It will probably be an heirloom piece for your children and grandchildren too! Craftsmanship is a hallmark of quality furniture, as well as fine materials. 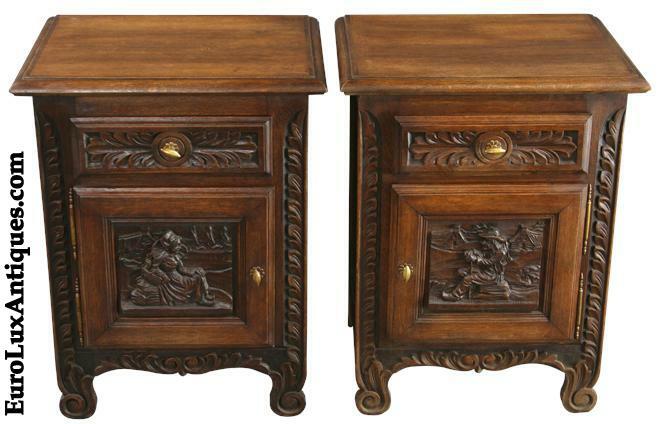 Even the reproduction furniture and home accents we offer often involves some hand-crafting. For example, this solid wood Regency style bedside table, crafted with a galleried top, fluted legs, and a dovetail drawer construction. The bedside table has a lovely veneer that is hand-waxed and hand-rubbed to create an authentic distressed effect. 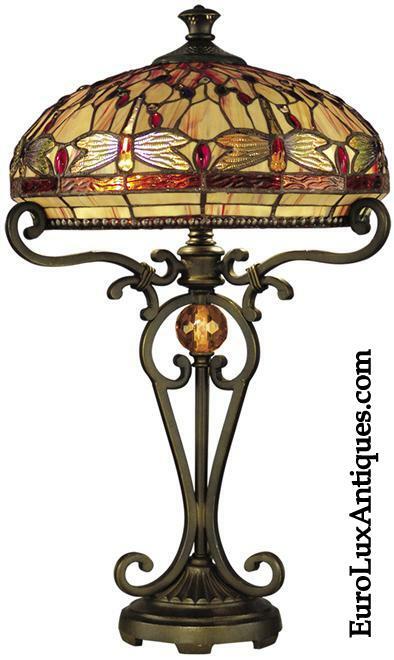 This Dale Tiffany dragonfly table lamp replicates an original Louis Comfort Tiffany design. It is crafted to the same exacting standards of the original. Hand-rolled art glass on the dragonfly design shade ensures the high quality of this lamp. Doesn’t it look fabulous on that Art Nouveau base? If you’re investing in better quality furniture always shop from a reputable business. That’s especially true if you are shopping online so you can browse a larger array of choices. 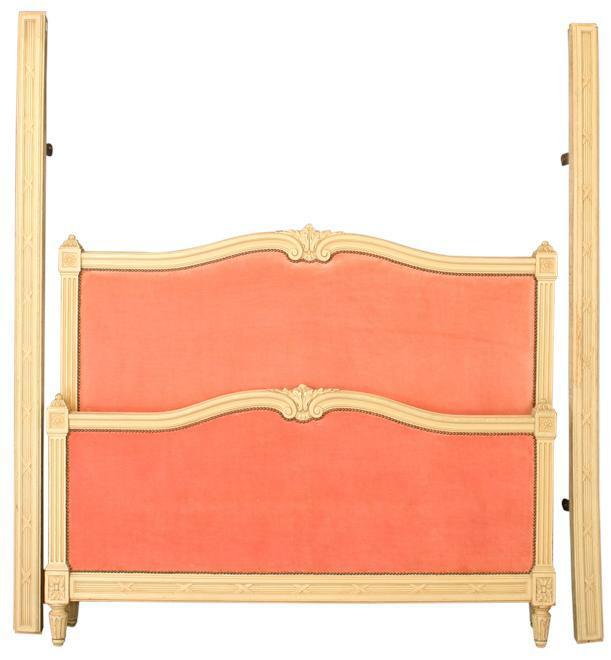 Ideally, you can view photos of the furniture from different angles so you don’t have any surprises when it arrives. 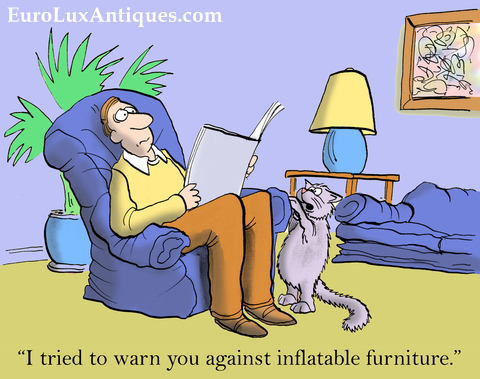 When buying antique furniture, the dealer should be willing to answer any questions. I spend lots of time on the phone and email, answering our customers’ questions. I want to make sure they are comfortable with their choice for their home. 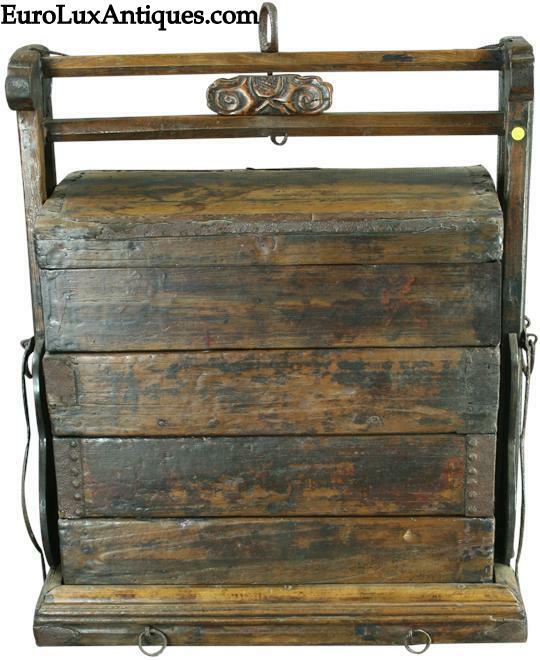 Check out my tips on how to buy antique furniture on the internet. What do you have to say on the subject of buying better quality furniture? Is good value all about the price, or is there more to it? Tell us in the comments box below! This entry was posted in Antique Furniture, News and tagged buying antiques online, consumer research, high quality antiques, high quality reproduction furniture, how to buy antiques on the internet, online antiques on June 26, 2013 by admin. At the summer solstice, we’re all enjoying the light for the longest day of the year! Different cultures and countries celebrate the solstice in different ways. In England, crowds gather to watch the sun rise over Stonehenge. In France, they light bonfires for Feux de la Saint-Jean celebrations. But whatever the party, it’s all about the light! As we’ve just received our latest container with more than 150 vintage French chandeliers (enough to light up the Eiffel Tower!) we’re thinking how lucky we are that we can sparkle up even the darkest days with decorative chandelier lighting. Here’s my hunky husband Greg hanging up chandeliers in the gallery. We always check the wiring on all our vintage lighting, and rewire any that are a little frayed or worn, before putting them out for sale. The new container from Europe kept him busy! A stylish chandelier always adds character to a room, but people sometimes wonder about the best size to buy. They don’t want a chandelier that swamps the room, but a too small chandelier can look a bit lost in a space. 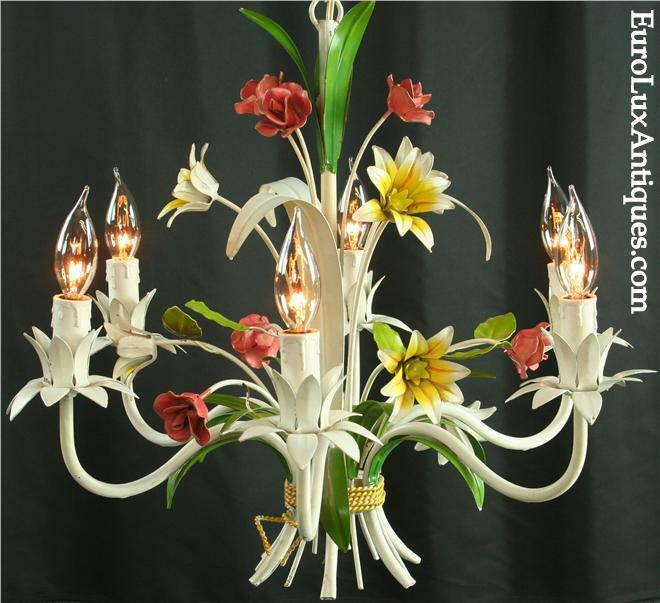 Pretty vintage 1950 French Chandelier – Very summery! My advice is to take the size of your room, for example 15 feet by 21 feet, and add the two together. The sum here is 36. Translate that to inches (in this case 36 inches) and you’ve got a good guideline for the approximate diameter of chandelier to choose. If in doubt, veer towards a larger size chandelier. When suspending the chandelier lighting over a dining table, it usually looks best if the chandelier is 50% or more of the table width. Allow for it to hang with at least 30 to 33 inches clearance above the table top. See my other tips to light your home beautifully, with chandeliers, wall sconces, and pendant fixtures. How are you celebrating the summer solstice? Tell us in the comments box below! 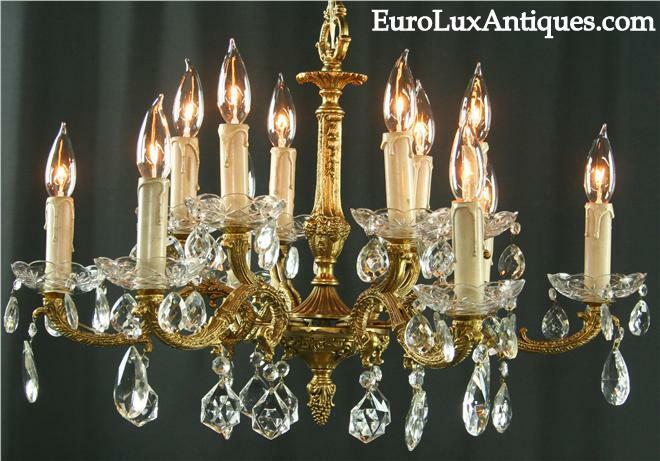 This entry was posted in Vintage Lighting & Chandeliers and tagged Antique Chandeliers, Antique Lighting, chandeliers, EuroLux Antiques, how to blend antiques into decor, Vintage Lighting on June 21, 2013 by admin. We will always have a soft spot in our hearts for Gene and Lyn, as we met Gene on the very first day that we opened our doors back in 2004. Our first advertisement that we ran in our local Lake Murray Magazine caught Gene’s attention – here it is with the tag line Your New Connection to the Olde World! When I dug this ad up from our archives, I realized that the pair of antique Hunting Thrones that Gene and Lyn later purchased were featured in that debut ad! Since then, we’ve changed our logo, our name (from EuroLux Imports to EuroLux Antiques),and even our location (from outside Newberry to Downtown Newberry on Main Street). 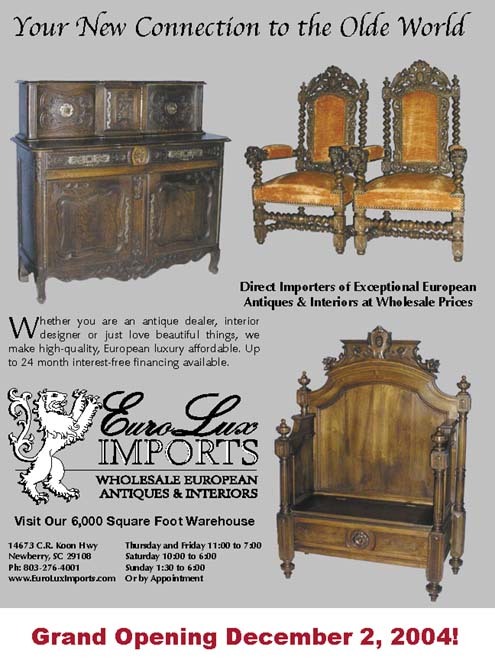 But we still specialize in beautiful, hand-selected European antique furniture. Lyn was busy on our opening day, but Gene brought her back soon afterwards as he knew she would enjoy browsing in our gallery. It was filled to the brim with the spoils of our very first imported container. Those fantastic antique Hunting Thrones would soon find a new home on Gene and Lyn’s sun porch overlooking the lake, followed soon afterwards by an elegantly carved antique Brittany Bench. 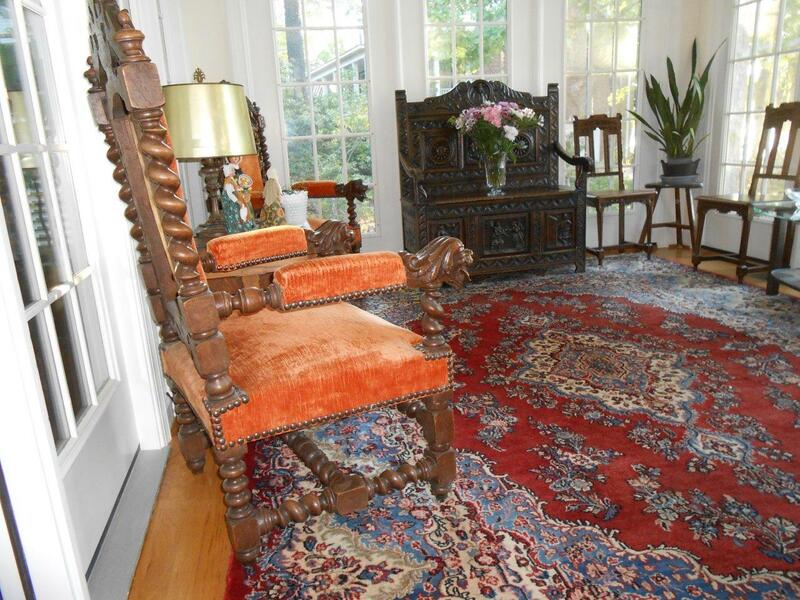 You can see the antique Hunting Thrones with their marvelous barley twists and carvings here on their sun porch, along with the Brittany Bench displaying that lovely vase of flowers. Here’s a close-up of the Brittany Bench, which is very typical of our Brittany style furniture. It features ship wheel carvings to honor the maritime history of the Brittany region, and carvings of French country folk. I still remember that Gene and Lyn opened a bottle of delicious wine when we delivered the thrones, and insisted that we have a few glasses to help them celebrate their “new” acquisitions! That afternoon we discovered that we had quite a bit in common with Gene and Lyn. They had started their marriage as newlyweds in Europe, just as we had. They told us stories of Gene’s teaching stint in Scotland, and we made them laugh with stories of our adventures living in Germany. We laughed and talked for hours and it turned into the beginning of a wonderful friendship! Over the years, Gene and Lyn have continued to find “new” antique pieces at EuroLux Antiques for their handsome home, often as a way to celebrate a birthday or an anniversary. A large and heavily-carved antique Hunting Buffet holds Lyn’s collection of antique and vintage pewter in the great room. The pewter looks superb against the antique wood of the carved buffet, so beautifully mellowed with age. Gene and Lyn’s great room is an open concept area connecting the kitchen with a dining area and living room. A set of antique French Hunting chairs was added too, as you can see in the great room around the marble table. Lyn fell in love with a very high-quality antique Brittany bedroom suite, including a 3-door armoire, bed, and nightstand. I love the red floral bedspread with the dark chestnut wood – it just adds to the French provincial feel of their lovely bedroom. If you admire this look as much as I do, we have an awesome Brittany Bed and 3-Door Armoire that just came into the gallery, and some wonderful Brittany chairs too. Gene and Lyn are both retired and keep very busy schedules, but we’re always happy to see them when the wind blows them through our doors here in Newberry! 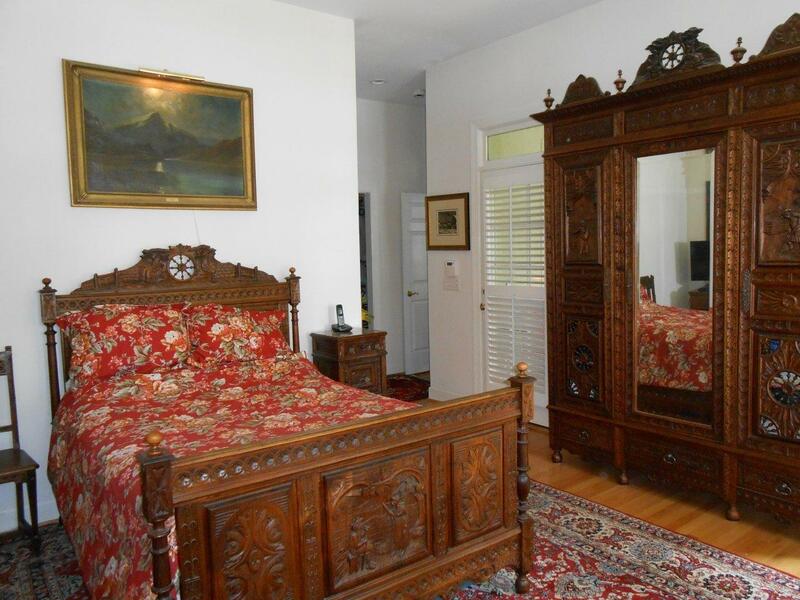 This entry was posted in Client Spotlight and tagged antique French Hunting Chair, Brittany Antique Furniture, EuroLux Antiques, French Antique Furniture, French Antique Hunting Buffet, Master Bedroom Suite on June 17, 2013 by admin. 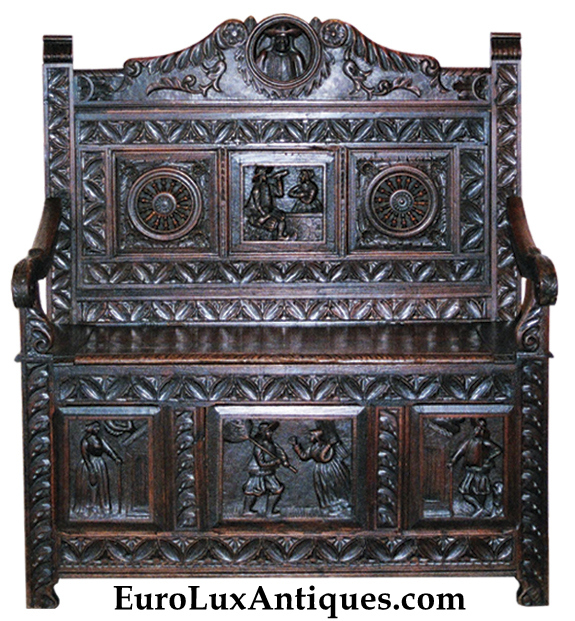 Although EuroLuxAntiques.com is best-known for its beautiful antique furniture from France and other parts of Europe, did you know that Greg and I also personally select high-quality reproduction pieces for our gallery? We pick out our favorite lighting, furniture, and other home accents, and yes, sometimes even a fantastic reproduction barstool! A barstool should always have a tale to tell, so we were very pleased to learn the story from our client Margaret behind this superbly crafted barstool. It has quite a history for a newly-made reproduction! 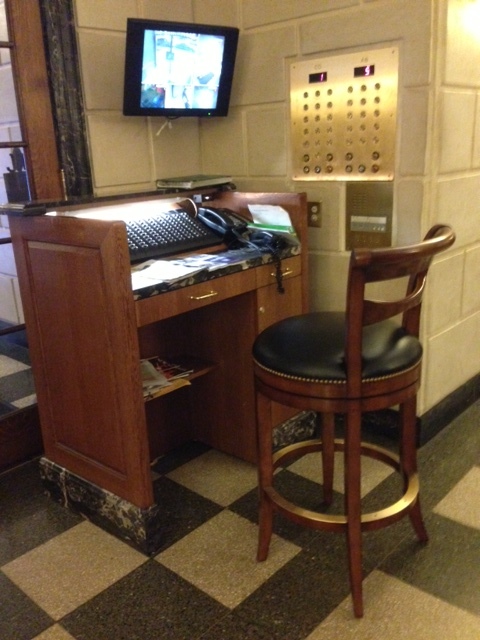 Margaret, a board member and resident of a high-rise building in New York City, has been searching for nearly two years for just the right barstool for their doorman to use in the lobby of this building. Apparently the discerning board members just couldn’t agree on the right stool until Margaret found our website. 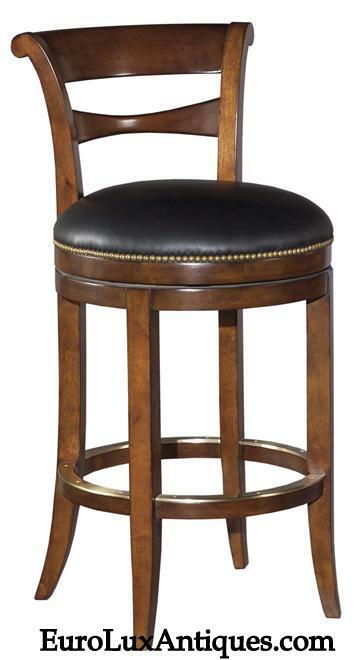 Then she discovered our large selection of high-quality reproduction barstools. Margaret chose an armless swivel seat barstool in a waxed cherry finish with black leather upholstery and brass nailhead trim. With a bowtie backsplat and hand-rubbed distressing for an antique look, the stool has just the right timeless appeal to suit this classic lobby. It has turned out to be a wonderful fit with the custom-designed desk of oak and marble with brushed brass, and it perfectly matches the lobby fixtures. After such a long wait, Margaret remained patient as we sorted out a shipping delay with the Greyhound courier service, but in the end, she was very happy. Well, thank YOU Margaret! We’re delighted to know that the barstool, crafted by Woodbridge Furniture Company, is gracing the lobby of your lovely building in NYC. We hope your doorman enjoys it too – comfort is important in that job! 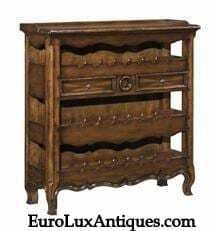 This entry was posted in Client Spotlight and tagged barstool, EuroLux Antiques, high quality reproduction furniture, Woodbridge Furniture Company on June 11, 2013 by admin. Father’s Day is on June 16 and this post is dedicated to dads! As a family business, we’ve been on a family photograph treasure hunt. I also have some Father’s Day gift suggestions, if you haven’t found the perfect gift for dad yet. Greg’s mom Kathy (our Director of Restoration Services) kicked off our family photograph treasure hunt while working on her scrapbooking albums. 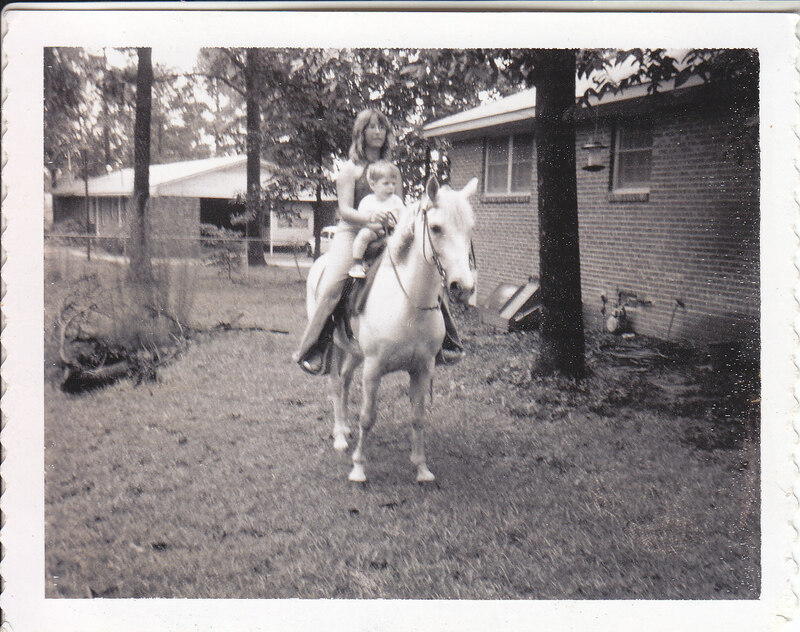 She found this photo of Greg as a 2- year-old on a horse with his aunt Therese. The horse’s name was Peppermint Patty. I find it a riot that Therese actually kept two horses in a suburban backyard! I doubt you could get away with that now, but hey… it was the 1970s! That gave me the idea to ask everyone for photos of their dads. Kathy’s dad was John Wallace Weathers, known as “Big John” and this photo is from when she was around 10 years old in 1951. They are at Duncan Park in Spartanburg, a minor league baseball stadium where the Spartanburg Peaches used to play. 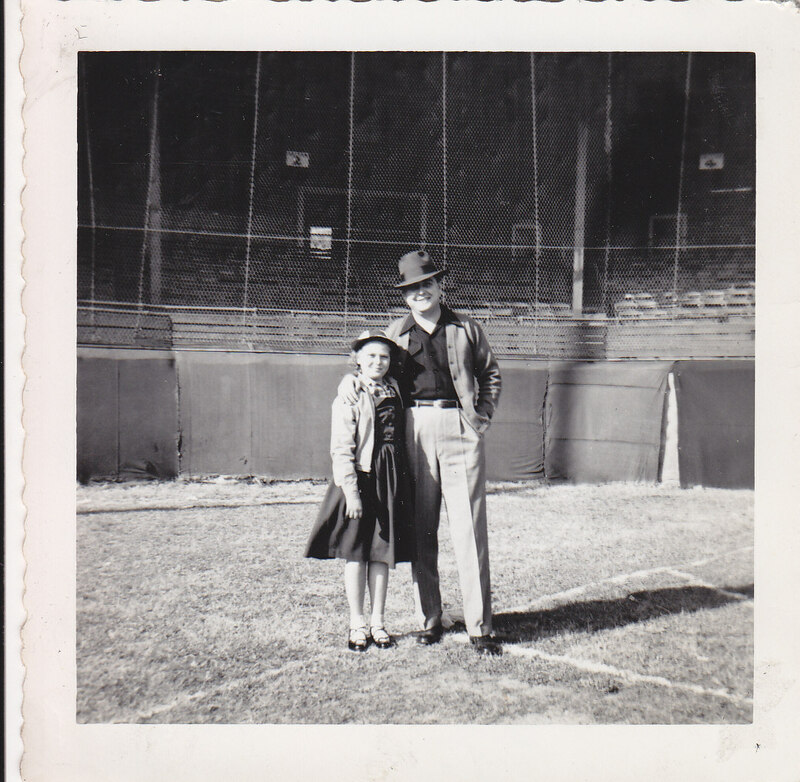 Kathy has fond memories of going to baseball games with her dad. He always insisted that Kathy would go to college and his wish came true. In fact she was the first to graduate from both high school and college on her dad’s side of the family. John is our gallery greeter and champion accountant, and this is him aged about 6 with his dad John Henry Talbot Sr. in Lawton, Oklahoma in 1949. John Jr.’s grandfather, Max Vern Talbot, is also in this photo with John’s younger brother. This is John’s first memory of meeting his grandfather, who lived in Florida. His grandfather was quite a “cut-up” and taught John to play cribbage. John fondly remembers many hours spent playing cribbage, and later, a deep sea fishing trip adventure with his grandfather. My husband Greg looks so cute in his cowboy hat! He was 5 years old in this 1977 photo with his dad John. 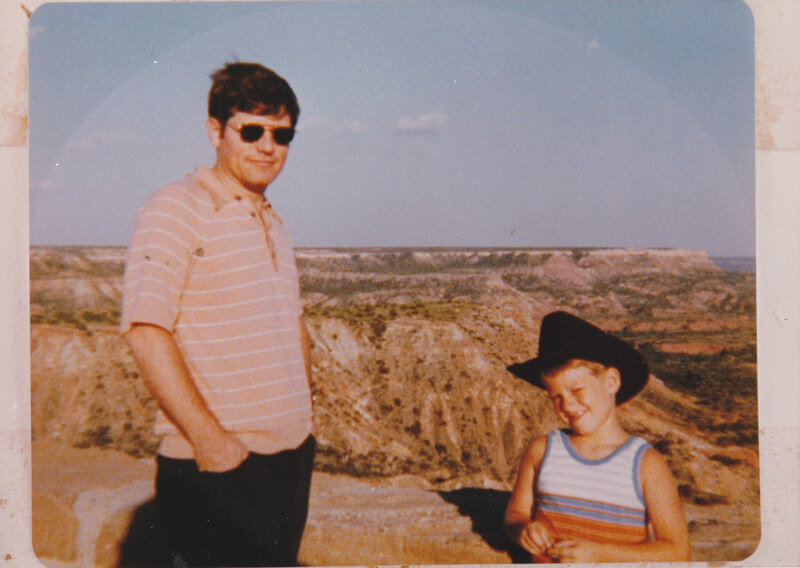 They lived in Lubbock, Texas, and Greg particularly remembers going to the Texas Rangers museum and going horseback riding down into the canyon. Greg associates music with different periods of his life and seeing that photo reminds him of Fleetwood Mac’s Dreams and Undercover Angel by Allen O’Day. Therese c ounts Shipping Manager among her many jobs at EuroLuxAntiques.com. 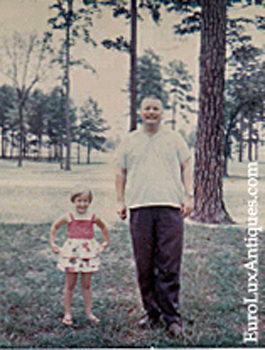 Here she is with her dad, John Sr. in 1963 when she was about 5 years old. They are on Fort Jackson in Columbia, SC and she is very fashionably modeling her favorite dress of the time! Later, she and her dad did horse shows together and she remembers many afternoons happily spent reviewing the results of the horse shows. 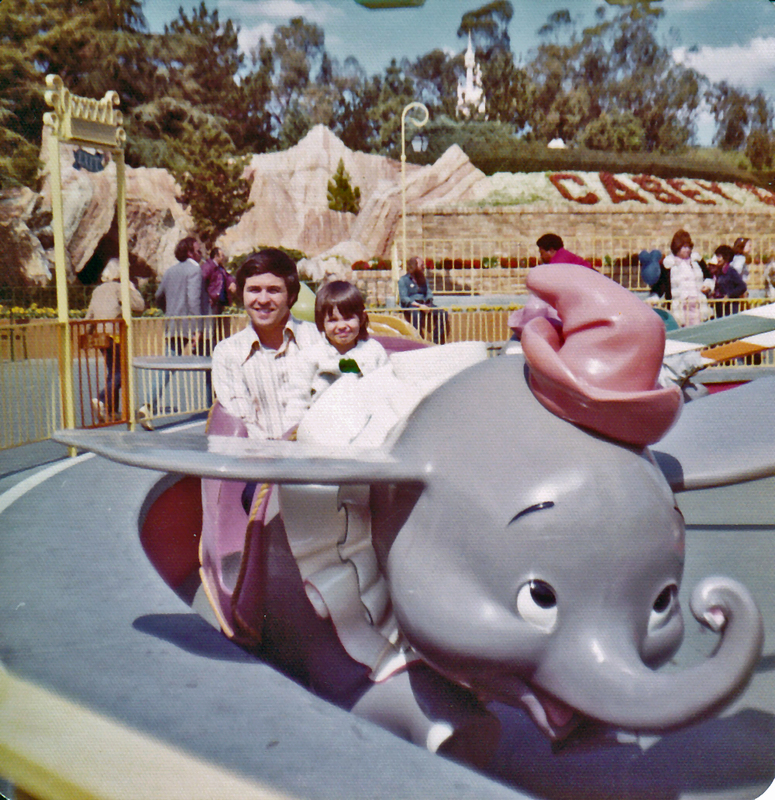 This is me, Aimee, and my dad, Robert Thomas Legore (Bob) riding the Dumbo ride at Disneyland in California in 1975 when I was about 5 years old. The family moved to California from Florida in a big blue station wagon while Bob helped develop the F16 jet engine at Edwards Airforce base. I was always a “daddy’s girl” and recall snuggling on the sofa to watch Star Trek with dad when he got home from work. If you’re looking for a super gift for Father’s Day, check out some of these ideas! This a ntique English Regency Tallcase Grandfather Clock is a great gift for dad or granddad. It’s signed by clockmaker, James Green, who worked in Liverpool between 1800 and 1829, dating this clock to the King George IV era. The mahogany clock is topped by a dramatic eagle with outstretched wings, and the Moonroller feature above the clock face marks the phases of the moon. It also features hand-painted sailing ships on the sea, in tribute to Liverpool’s maritime history. The working clock still chimes on the hour! If dad’s a wine buff, this high-quality reproduction etagere à vin (wine rack) is perfectly sized for the modern home. It holds nearly two cases of wine and he can keep his corkscrew, coasters, and wine accessories in the two drawers. The etagere à vin is crafted in the Louis XV style, with a hand-rubbed distressed finish on the rich cherry veneer for an authentic antique look. This antique chalkware sculpture is a truly unique and meaningful gift for dad. Dating to 1900, it portrays a poignant moment between Saint Joseph and his son Jesus Christ as a child. The touching encounter is beautifully rendered in this 18 inch high sculpture, right down to the expression on the Christ child’s face. Do you have any special plans for Father’s Day? Tell us in the comments box below. I’d also love to hear about your own family photograph treasure hunt. Photos bring back such great memories – do you have a favorite family photograph in the album? This entry was posted in News and tagged Antique Furniture, Antique Grandfather Clock, EuroLux Antiques, family photograph, Father's Day on June 6, 2013 by admin. The definition of an elegant room varies according to each person, but I’d say that no matter how elegant the space, it needs to be easy to live in too. Welcoming, practical, and somewhere that people can relax and enjoy the atmosphere. Who wants to sit bolt upright all evening, terrified to touch anything or pick up a magazine for fear of disturbing the overly groomed ‘interior design’? Not me. And certainly not our 8 cats and dogs! 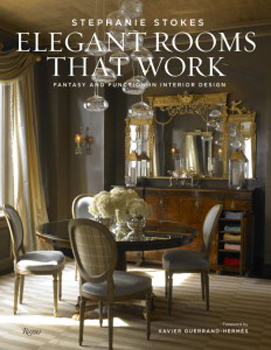 These three recently published books provide some great inspiration for elegant rooms that real people can live in. Author Stephanie Stokes is an art historian and interior designer. In her new book she explores ‘Fantasy and Function in Interior Design.’ She gives tips on how to plan your space without sacrificing style and atmosphere. Stokes is keen on creating multipurpose spaces too, to make the most of every inch of your home! All her expert advice aims to create a practical but beautiful environment. Many of the elegant rooms photographed feature lovely antique furniture and accessories. 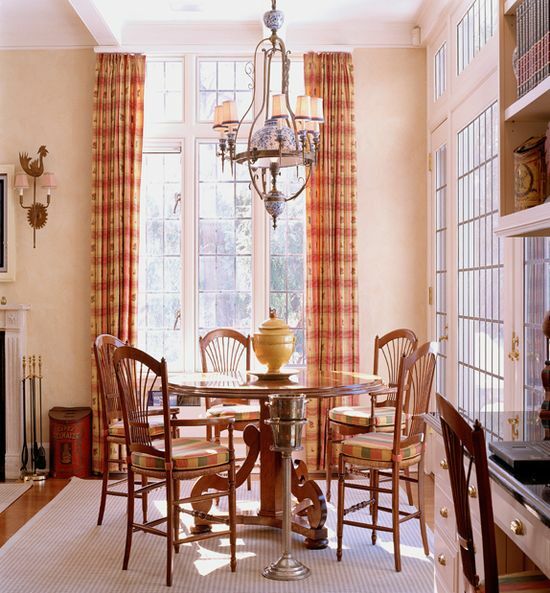 This French Provincial style dining room is designed by Stephanie Stokes. I love the way that the large chandelier helps to balance out the high ceiling in this light and airy room. Plus, it’s a statement piece in itself. 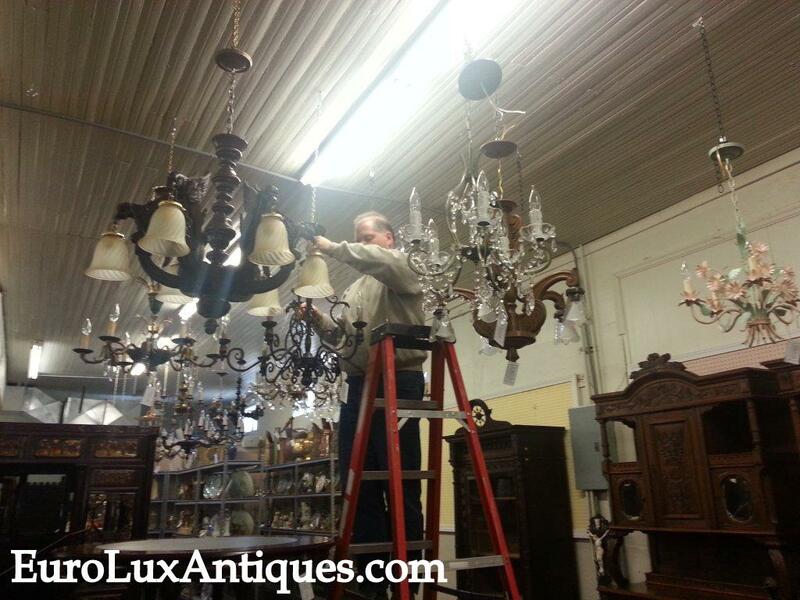 If you like the look, check out the vintage chandeliers in our gallery. Gracious living and warm hospitality are the focus in this new coffee table book. 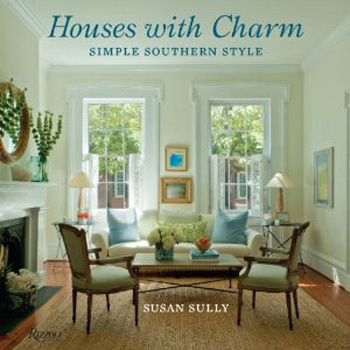 Writer Susan Sully is an expert on Southern style – her articles appear in magazines including Veranda and Martha Stewart Living. The book celebrates traditional Southern architecture and interior design with homes spanning eras from the 18th century to the present day. Some are cozy and romantic. Others are rather grander, such as the Louisiana plantation house filled with antiques. In all cases the homes capture the essence of the Southern lifestyle – elegant but laid-back. A beautiful vase of flowers immediately adds an elegant and welcoming touch to any space… and despite this book’s title, it isn’t about cooking with edible flowers! (Although if you enjoy cooking, I recently blogged about delightful ways to serve up summer herbs in style.) 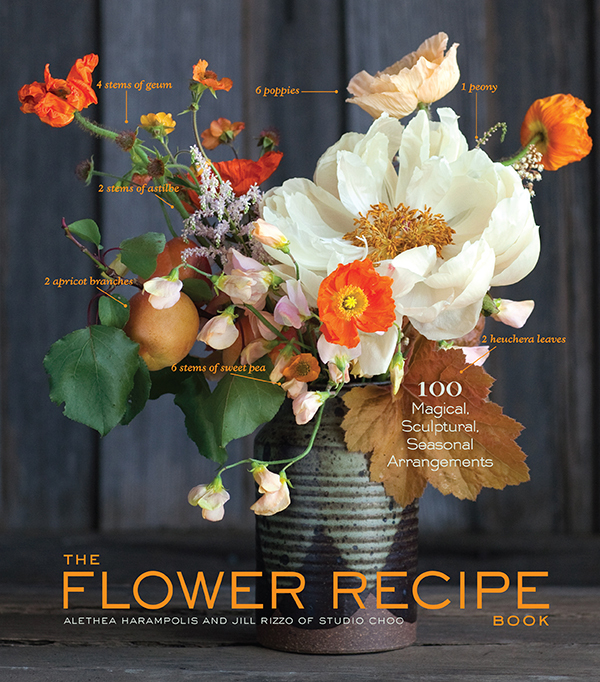 Instead, this lavish book gives “flower recipes” to create gorgeous floral arrangements. Subtitled 100 Magical, Sculptural, Seasonal Arrangements, the book is written by the women who run Studio Choo, the fashionable San Francisco floral design studio. Their bright ideas for different styles of flower arrangement range from sensationally wild to elegantly formal. 400 colorful photos offer plenty of inspiration. Pop any of these floral arrangements on one of our antique dining tables and your work is done! What’s your definition of an elegant room? Let us know in the comment box below! This entry was posted in Bookshelf and tagged cut flowers, EuroLux Antiques, floral arrangement, interior decor, interior design on June 4, 2013 by admin.